For sale is my Race face turbine dropper post with a fox transfer remote lever kit. Neither of the parts have been used or even mounted as I figured out it wouldn't fit on the bike I had intended it for. The seat post diameter is 30.9 and the length is 490. Feel free to message with any questions! For sale is my 2017 Rocky Mountain Element. This lightweight rocket weighs in at sub 20 pounds with pedals and bottle cage. The frame was brand new at the end of last year and has only been ridden for one season. 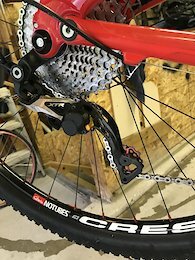 The XX1 drivetrain was purchased new in the winter as well as the XT cassette and chain. The whole build includes: - XX1 derailleur and shifter - XTR race breaks - Raceface Next Carbon Crank with an absolute black oval chainring - XT 11- 42 cassette and chain - Fox 32 Stepcast fork - Fox CTD rear shock - Extralite Hyper Carbon Bar (extremely lightweight) - Hylix stem - Hylix carbon seat post - Stans Crests laced with Lazer spokes and Hope Pro 4 Evo hubs - The bike will come with a different saddle than the Spyder one pictured - Can include spare rear chainstays and seat stays (Shoot me a message to inquire) Overall, this bike has treated me way better than I could've asked but I have to let it go as I need some money for University. If you have any questions feel free to shoot me a message. I need this bike gone relatively soon so if you have any interest I’m sure we can work something out that works for both of us. Thanks for looking! 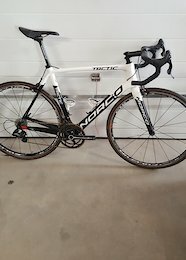 For sale is my Giant TCX Advanced Pro 0. This super stiff, comfortable, fast and reliable cyclocross bike was an amazing stead. 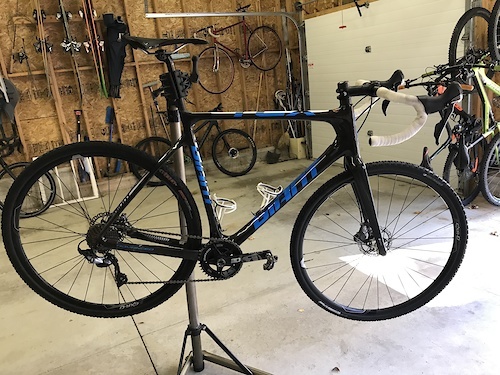 The bike comes with: - Carbon frame, Fork and seat post - Rotor 3D crankset - Ultegra shifters, rear derailleur and brakes (brand new) - Dura ace cassette and chain - Bike will come with cyclocross tires Bike was recently rebuilt on July 12th with a new bottom bracket, rear derailleur, brakes and levers. Rear derailleur cable was replaced during the rebuild as well as greasing all necessary items (BB, headset, etc.). Thanks for looking and feel free to message with any questions.